ROCKLAND HYUNDAI has a wide selection of exceptional pre-owned vehicles to choose from, including this 2014 Hyundai Tucson. Only the CARFAX Buyback Guarantee can offer you the comfort of knowing you made the right purchase. This versatile SUV is perfect for families or contractors with its oversized cargo area, exceptional horsepower and option upgrades. Navigate through all the icky weather with ease in this AWD-equipped Hyundai Tucson, and even get non-stop traction for your non-stop lifestyle! In addition to the amazing traction control, you may even qualify for an insurance reduction with this AWD vehicle. 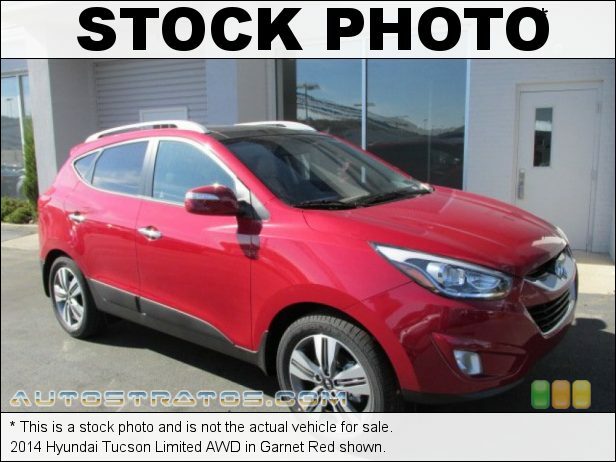 With less than 13,093mi on this Hyundai Tucson, you'll appreciate the practically showroom newness of this vehicle. Marked by excellent quality and features with unmistakable refined leather interior that added value and class to the Hyundai Tucson The Tucson has a lot going for it when matched up against the competition. With either available direct-injected engine, the Tucson has some of the highest combined and highway fuel economy ratings in its class. The Tucson has a longer wheelbase than its rivals yet has one of the shortest turning diameters, which keeps it settled and stable on the open road but also maneuverable in tight spaces. Hyundai also notes that there is more interior space than in some vehicles a class larger, while rear-seat legroom is class-leading. This model sets itself apart with Class-leading fuel efficiency, responsive powertrains, safety features, generous standard features, rear passenger space, and smooth ride SE HABLA ESPANOL! To view our entire inventory please visit our web site at www.rocklandhyundai.com or call one of our internet specialists (866) 682-6866. ROCKLAND HYUNDAI is proud to announce $ 000 DOWN FINANCING AND TOP DOLLAR FOR ANY AND ALL TRADES!!! Same great price whether it is cash or financed! No GIMMICKS! No HASSLE! Why buy from ROCKLAND HYUNDAI? We are the only one's to offer customers our Exclusive Brake Guarantee on all Pre-Owned vehicles.